After introducing Google Voice into iPhone, Google is now comes up with its new Google Voice Number Porting Feature for their users. 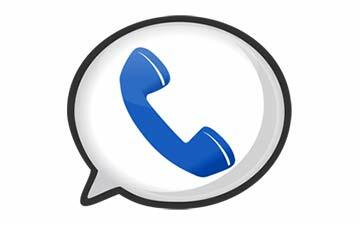 Google is now currently testing a new feature for Google Voice called 'Number Porting', through which users will get the ability to port their existing landline or cell phone number over to Google Voice. BGR reports that the new number porting feature is open to a selected number of Google Voice users, but it comes at a price. Google is charging a $20 number transfer fee, payable through Google Checkout. However, there may be other fees for transferring your number over. Your current landline or carrier may charge you an additional early termination fee, which could range in the hundreds of dollars to end a contract. You can convert your number with a few clicks, you can have people call the regular phone number that you’ve been using all these years, without having to teach them to call a different number just so you can use Google Voice and all its Gmail like features. Simply click on Settings in the top right, then click voice settings, and finally, on the phone tab, click change / port. Click that and you’ll soon be done. Follow the two easy steps and pay the $20 transfer fee, and you'll have all your incoming calls forwarded to Google Voice. Users with a contract should check with their carrier first, to ensure they aren't going to be nailed with an early termination fee. Check out this Google Official Video for more information!